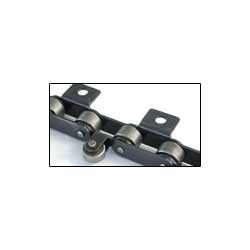 We have in stock for our esteemed customers a wide range of Conveyor Chains. 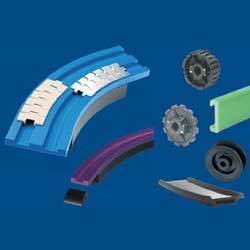 Smooth and stable flow of materials depends on the performance of the offered conveyor chains. These are available from one and a half inches pitch to twenty four inches pitches having breaking load up to hundred tones in carbon steel, stainless steel, zinc plated and nylon rollers. 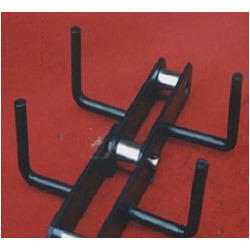 With thorough industry knowledge, we are engaged in manufacturing and supplying a wide range of Bottle Washer Chains. These chains are fabricated keeping in consideration the diverse demands of our respectable customers. With the help of our wide distribution network, we timely deliver the chains at our clients’ destinations. 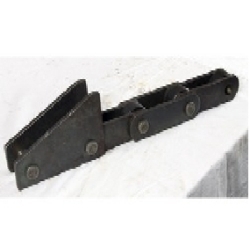 We are committed to offer our clients, a wide collection of Scraper Conveyor Chains. The chains made available by us are manufactured using high quality material to maximize the satisfaction level of our clients. 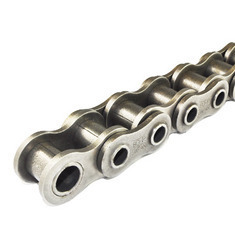 Also, we offer these chains to our customers in various sizes at most competitive rates. 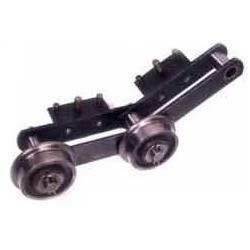 With the help of our distinguished professionals, we have been able to bring forth Flat Conveyor Chains. 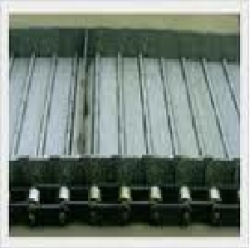 These conveyor chains are manufactured at our infrastructure unit using high quality material. The offered chains are installed in conveyors. We offer these products to clients at industry leading rates in various specifications. 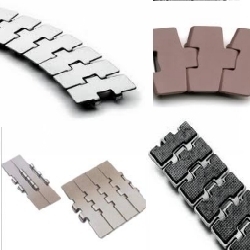 We are involved in offering superior quality Magnetic Corner Tracks . The tracks we offer are manufactured utilizing optimum quality material and high-tech machines following industry norms and standards. Our products are available in various shapes and sizes as required by clients. Looking for Conveyor and Elevator Chains ?